Ornah-Mental (Germany) see: Samples etc. Orne (Finland) see: Samples etc. Ornithos (Italy) see: Samples etc. Boston's Orphan were one of around a million identikit 1970s American bands, tempering their country/rock with hints of r'n'b and soul, making a perfectly pleasant yet undemanding sound that probably sounded good on car radios. 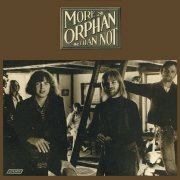 Vocalist/guitarist Eric Lilljequist clearly led the band, writing most of the material on 1974's groanworthy More Orphan than Not (notably You Don't Know How I Cry), although they also tackled a handful of covers, including The Beatles' What Goes On and Van Morrison's I've Been Working. Dan Frye plays Mellotron, with orchestralish strings on Don't Go Foolin' Me, although the brass on (slightly) jamming closer I've Been Working is real. Orphan must have achieved some success, as it was their third (admittedly also their last) release, but, these days, sounds very much of its time. Pat Ortman (US) see: Samples etc. Osada Vida (Poland) see: Samples etc. Osamu Kitajima is usually referred to as a new age artist, although his early albums are more in the pre-world music line, successfully combining Eastern and Western influences before such things became fashionable. His debut, 1976's Benzaiten, is an interesting fusion of styles, although it's his follow-up, '77's Osamu, which concerns us here. Comprised of roughly equal parts of traditional Japanese music, jazz, funk and rock, with the occasional vocal track (notably Yesterday And Karma), it's all over the place musically, albeit in a good way; Elemental Spirits almost sounds like '80s King Crimson, three years early, while the koto on several tracks gives the album the requisite far-Eastern feel. Brian Whitcomb plays Chamberlin, with cellos on one of the album's more 'ethnic' tracks, Endless Steps, although I think the strings on Yesterday And Karma are string synth. 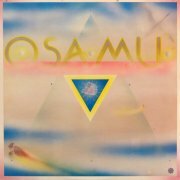 Surprisingly, Osamu's early albums don't appear to be currently available, although I'm sure they'd sell well to the new age crowd. Or maybe not; they could be too eclectic for that highly restrictive market, falling between too many stools. Prog/fusion fans who aren't averse to a little ethnicity could do a lot worse than to track copies down, though not for Osamu's minimal Chamberlin use. My lodger at the time Relish came out (hi, Dave) used to play this album constantly, to the point where I'm amazed it sounds so unfamiliar eight years on. I wasn't expecting to like it at all, so I was pleasantly surprised to find that Osborne's raunchy, bluesy voice and vaguely Tom Petty-ish material actually still sounds pretty good, even though she's played Lilith Fair with all the usual suspects. The album contains Joan's biggest hit, the over-catchy One Of Us, which caused some upset in religious circles at the time; so, you're not allowed to say "What if God was one of us"? Oh, get a life... The rest of the material is more 'down home', with Joan's excellent voice riding over the top of the warm, natural sound of the album, which has probably helped it to avoid sounding dated. The instrumentation is largely analogue, with loads of what sounds like Wurly piano, plus a smattering of Hammond and Mellotron, which I can't believe I didn't spot at the time. 'Tron from keys man Chris Palmaro and drummer Rob Hyman, who gets a few string chords in on One Of Us. Palmaro adds a strings pitchbend on Spider Web and some nice flute work on Let's Just Get Naked, but the relative paucity of the 'Tron limits its overall rating. 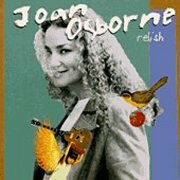 I've no idea what the rest of Osborne's stuff is like, but if you're into a more populist version of that 'Americana' thing, you could do a lot worse than give Relish a spin. Surprisingly good. After Ozzy left/was kicked out of Black Sabbath, he surprised everyone by returning with a killer band and two great albums in Blizzard of Ozz (****½) and Diary of a Madman (****), before the tragic death of his wunderkind guitarist, Randy Rhoads, an event from which the Ozz is said to have never truly recovered. As the '80s progressed, Ozzy's albums tended to follow the mainstream, largely consisting of undistinguished commercial hard rock, as he stumbled through various addictions, leaving him the sorry figure you've probably gawped at on The Osbournes, which has to take the prize for one of the most bizarre programme concepts ever, against stiff competition. 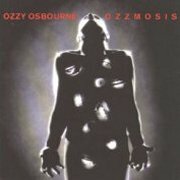 Ozzmosis was Ozzy's seventh studio solo album, the second (?) to feature on/off Sabs bassist Geezer Butler, not that he makes any great difference to the album's content, to be honest. Guitarist Zakk 'Mastermind' Wylde (his real name, surely?) stamps his authority (as they say) all over the record, although he's frequently stymied by the rather average material on offer. Highlights include Perry Mason and Thunder Underground, but I'm afraid this is no match for Ozzy's first two efforts. Keyboards are played by producer Michael Beinhorn (no stranger to the Mellotron himself) and, surprisingly, Rick Wakeman, who I believe last worked with Ozzy on Sabbath's Sabbath Bloody Sabbath, over twenty years earlier. I'm sure I found a reference on Rick's site to the effect that he played Mellotron on Ozzmosis, but I can't currently find it; it's highly unlikely, anyway, so we'll go with Beinhorn. Despite the generic sampled strings on several tracks, that's rather muted Mellotron choir on See You On The Other Side, Tomorrow and My Little Man, while the strings on Old L.A. Tonight, alongside sampled ones, are the most Mellotronically convincing thing here. So, an OK album, no classic, not rubbish, just... ordinary. Not sure why he bothered to get Rick to play Hammond, but don't look a gift horse in the mouth, eh? One for completists only, I think. I can't really find out anything about 'Oscar Bamforth'; his presumably sole, eponymous album is sort-of glam rock, with the man himself coming across as a vaguely low-budget/Hammer horror Screaming Lord Sutch on several tracks. 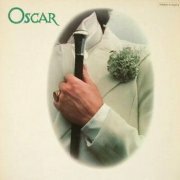 Oscar opens with a strange, wartime-style ditty, Well Known Lady, quickly shifting into the era's pounding drums (no synchronised handclaps, though), particularly on Good Loving Woman and Feel Alright, while a few other tracks are at the poppy end of the hard rock spectrum. Confused? So was he. Sadly, none of it's that good, although some of it (notably rather silly closer Lord Of The Night) is at least entertaining. 'Bamforth' played Mellotron himself, with string parts on Looking Thru The Eye, Shady Lady and Lord Of The Night, with a nice solo part on the last-named. I've seen multiple copies of the CD of this on eBay as 'buy it now's, making me think 'Bamforth' is getting them pressed (or running off CD-Rs) himself and flogging them that way. Do you bother? Only if you're really into obscurities from the era, although three 'Tron tracks may help to tempt you. 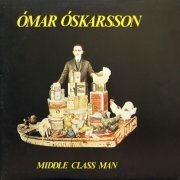 (Bergsteinn) Ómar Óskarsson was already a veteran of the (admittedly minuscule) Icelandic scene by the time he released his solo debut, 1974's Middle Class Man, recorded at London's Morgan Studios. The bulk of the record consists of mid-'70s pop, balladic or otherwise, making Getting Out's vaguely Allman-esque guitar work sound better than it is. Any genuinely better tracks? Closer Thank You All is easily the best thing here, its four-and-a-half minutes sounding longer, in a good way. Jakob Magnússon plays Mellotron on Then And Now, with a perfectly pleasant, if unassuming background string part, probably played on the studio's (presumed) house M400. Osiris Club (UK) see: Samples etc. Didn't I Love You, Boy? Now, I know full well that some of you out there feel that I shouldn't bother reviewing lightweight pop albums that just happen to contain some tape-replay work. However... Think about it for a moment: where's my cut-off point? There's good pop (admittedly, not actually lightweight) and bad rock, not to mention the vast, horrifying indie field, most, but crucially, not ALL crap. Nope, completism's the only way to go, I'm afraid. Don't like it? Don't read it. Simple. Marie Osmond's fourth album, 1977's This is the Way That I Feel, is the latest result of this policy (er, thanks for this one, Martyn). Although largely thought of as a country singer, not least for her debut, Paper Roses (work it out: she was THIRTEEN at the time. Didn't America have laws regarding child labour? 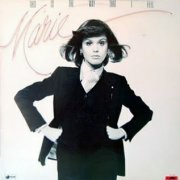 ), by this point in her career she had shifted into straight pop, veering between breezy, upbeat material (Play The Music Loud, Where Did Our Love Go, You're My Superman (You're My Everything)) and slushy balladry (most of the rest), making the album somewhat slim pickings for this site's typical reader (he said with understatement). It's totally professional and impeccably played, of course, while Osmond shows that she has an excellent pop voice, but, er, so what? Mellotron? 'Fraid so - why else would this be here? It's uncredited, but it seems likely it was played by one of the album's two keyboard players, Randy McCormick or Tim Henson (well, you can never tell). Anyway, we get a flute line and solo on the opening title track, chordal flutes on Miss You Nights and flute and string parts on All He Did Was Tell Me Lies (To Try To Woo Me), the flutes highly reminiscent of the part on Paul Anka's cheese classic (You're) Having My Baby. The rest of the album's strings are real, making it surprising that her producer opted for the Mellotronic version on one track. I can't imagine why any of you might be interested in this in any way, but it's here, if only for the aforementioned completion's sake. Kurt Ostbahn & die Kombo (Austria) see: Samples etc. Otep (US) see: Samples etc. 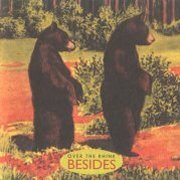 Other Lives (US) see: Samples etc. Otto's Condom Black is probably best described as 'Latin electro' or similar, successfully blending typical Latin American music with the current dance scene, synths, loops and samples to the fore. I can't even tell whether or not it's any good at what it does, as I feel so little affinity with the music, but it seems successful enough and has apparently sold in large quantities in its home country. As so often, though, it's too long for its content, leading to boredom after forty minutes or so. 'Apollo 9' (Cibelle) plays various elderly keyboards, including Mellotron (does this now mean there's a definite M400 on the continent?). Anyway, he plays strings on Pelo Engarrafamento, flutes and strings on Por Que and flutes on the title track, though nothing to get too excited about. So; an album so far from the taste of the average Planet Mellotron reader that it almost comes round the whole 360°. OK, it doesn't. I'm sure it's good at what it does, but you're not going to like it, while there's not enough Mellotron to be worth bothering with anyway. Ottoman (US) see: Samples etc. Our Broken Garden (Denmark) see: Samples etc. 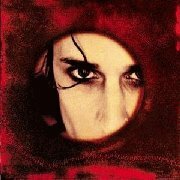 Ours seem to get compared to the likes of U2, Jeff Buckley, Radiohead, even the awful Smashing Pumpkins or the Mission; what doesn't get said about them is "This highly original music..." Think miserablist, gothy, surprisingly English-sounding music, with the vocals just that little bit too high in the mix and you won't be too far off the mark. The 'band' seem to consist mainly of singer/lyricist/guitarist (etc.) the rather un-goth sounding Jimmy Gnecco, a man who knows the meaning of the word 'overwrought', although, oddly enough, the end result on Distorted Lullabies isn't that displeasing. Quite a bit of tape-replay work here, which makes a change for the odds'n'sods I pick up for a couple of quid, most of which are fairly (make that very) disappointing. The ubiquitous Patrick Warren turns up with his Chamberlin, adding strings to I'm A Monster, Here Is The Light and the fantastically-titled Meet Me In The Tower, while Gnecco himself plays Mellotron strings on Sometimes and Mark Endert puts some nice, upfront Chamby (strings again, plus cellos) onto Medication. So; not classic, but despite being rather silly, not that bad an album, and some reasonable 'Tron/Chamby work. Can a husband-and-wife duo split up professionally but not personally? 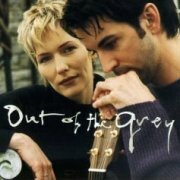 Scott and Christine Denté made six CCM albums as Out of the Grey (interesting UK spelling there) in the decade following 1991, then ground to a halt. Never mind, eh? 1997's (See Inside) is the fifth, containing all the usual Christian guff; in fact, if it wasn't for the lyrics and Christine's irritating delivery, this would have picked up an extra half star, as it isn't that bad musically. However, it was and it was, so it hasn't. I know I've asked the rhetorical question before, but why can't Christians sing songs about something else for a bloody change? It does get a bit boring for us happy heathens... To which they might well reply, "So don't listen to it, then", except that they wouldn't, 'cos they're infuriating, happy-clappy, evangelical... Er, sorry. The one thing about the album that amused me is track nine, Prove It, that being my usual rejoinder to Christians, if I'm in a foul enough mood and they push the wrong buttons. Phil Madeira does his usual Mellotron-on-CCM-album thing, with faint flutes on Winter Sun, though that's your lot. So; you really don't need to bother with this one on any grounds whatsoever. At least, at 43 minutes, it doesn't outstay its welcome. Much. 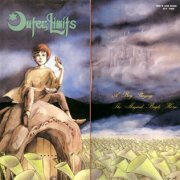 Outer Limits played a particularly symphonic brand of violin-fuelled progressive rock, largely (and thankfully) instrumental, rarely slipping into the common '80s Japanese progsters' habit of apeing the British neo-prog bands. Their debut, Misty Moon, is generally strong, although parts of Saturated Solution sound slightly too '80s for their own good. Prelude is actually a full-length track, and sounds almost orchestral in places, although I believe it's all keyboards. Shusei Tsukamoto's Mellotron work is restricted to two tracks, but Prelude has a lengthy flute part and some strings, with more strings and what may be male voice choir on Subetewa Kazenoyouni although, to be honest, the 'Tron use isn't that heavy. To my knowledge, this is now available on Musea, but the original Japanese CD release has no transliteration for the latter title, so many thanks to whoever it was that sent it to me. They quickly followed-up with A Boy Playing the Magical Bugle Horn (the sleeve graphics on the original CD release are terrible, although the reissue goes back to the original vinyl version). 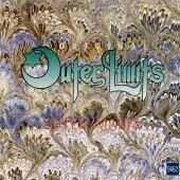 Anyway, more mad, passionate, theatrical prog, with pseudo-operatic male and female vocals; Out Of The Old Castle probably being the most effective track, but no actual duffers. Tsukamoto on 'Tron again, with strings on The Silent Valley, flutes (and terribly flat vocals) on Whispering In The Wind and flutes and strings on Beyond Good And Evil, all other string parts being either real violin or synth. I actually find The Scene of Pale Blue rather harder going, although I'm sure it's a fine album. Maybe you have to be really in the mood for it. It's long for a pre-CD (well, sort of) release, and I get the feeling it might've been better if it had been slightly shorter. Anyway, I've seen reports of a King Crimson influence, and I can hear them in places, particularly on the opening part of the title track (probably the album's best), with some choppy rhythmic stuff and a Frippish guitar part. Although they used Mellotron on three tracks, there's very little to be heard on either Mixer or Anti Podean, with the only overt use being a string part, doubled on real violin, in the lengthy The Scene Of Pale Blue itself. I haven't heard their live effort, Silver Apples on the Moon, but I have come across an archive release of some unreleased demos from the early '80s, called Outer Mania. Four of the five tracks are different (and largely slightly inferior) versions of tracks from the two above albums, with only I Love You being previously unheard. The Scene Of Pale Blue (I suspect this is from their split LP with Kanzeon from 1981) has what sounds like the same Mellotron part as the later version, leaving the short but Mellotron-heavy I Love You as the only real reason to buy the album. 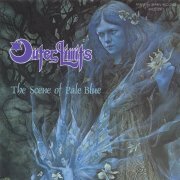 So; Outer Limits aren't the first band to which I'd direct the new prog fan, but that doesn't make them bad, just slightly inaccessible. The albums are rather variable in quality, but the best tracks make them worth the effort. Start with Misty Moon, then progress (ho ho) through A Boy Playing the Magical Bugle Horn to The Scene of Pale Blue, though Outer Mania is a bit inessential. Outer Space (US) see: Samples etc. Ohio: Echo Park Studios' M400? 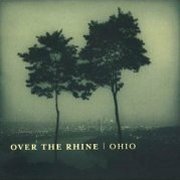 Over the Rhine, named for the oddly-named district in Cincinnati where the band formed, have an intriguing sound, melancholy yet strangely uplifting. At the heart of the band are the husband and wife team of Linford Detweiler and Karin Bergquist, Detweiler playing guitar, bass and keys, and Bergquist singing and playing acoustic guitar and piano, her throaty voice suiting their music perfectly. 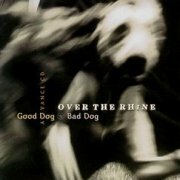 Good Dog Bad Dog is their fourth album, and is a triumph of 'slowcore', featuring a selection of downbeat songs that never tip over into parody, although highlights are hard to identify on an initial listen. Mellotron on just one track, with flutes on Faithfully Dangerous, plus strings at the end of the track, from guitarist Ric Hordinski; the sleevenotes state, "Ric... coaxed a melody out of his Mellotron... - no mean feat". It certainly sounds like it's on the edge of breakdown most of the way through, but that not only adds to its appeal, but proves that the damn' thing's real, in these days of rampant sample (ab)use. Not so sure about the following year's Besides; it's an odds'n'sods album of live tracks, outtakes etc, but much of it is rather unappealing arena rock, with a distinct U2 edge (Edge! Geddit? Oh, never mind) in places, which they've done well to leave behind if you ask me. It has its good moments, not least Lucy, but if you like their later style, you're likely to be fairly disappointed here. Again, one Mellotron track, with flutes and cellos on Miles from Detweiler, although nothing overly essential, to be honest. I don't know anything about their interim albums, but 2003's double-disc Ohio isn't wildly dissimilar to Good Dog Bad Dog, although it's noticeably more country influenced, reinforced by Tony Paoletta's pedal steel on several tracks. The chief trouble with the album is its length; this sort of downbeat material doesn't tend to lend itself to albums much over 40 minutes long, so over twice that is a bit gruelling, especially in one sitting. Anyway, very little Mellotron this time round, with cello parts on opener B.P.D. and Professional Daydreamer, assuming they are actually Mellotron; there's an uncredited saxophonist on Nobody Number One, with a sustained string part on the same track that you couldn't do on Mellotron, so I presume the cellos are tape-driven? 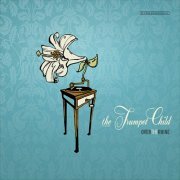 Now, 2007's The Trumpet Child is more like it; sensible length, some great songs, not even the faintest hint of U2 about any of it. Best tracks? Probably the title track, with its apocalyptic imagery and maybe Desperate For Love; the clarinet/muted trumpeter combination used across the album being particularly effective on the latter. Not so sure about the Tom Waits tribute Don't Wait For Tom, but there you go. Brad Jones played (credited) Chamberlin, with strings on Nothing Is Innocent, although there's nothing obvious on closer If A Song Could Be President. 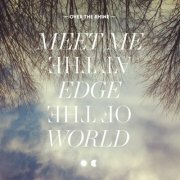 After a long break, 2013's Meet Me at the Edge of the World is a very pleasant, very Over the Rhine album with one fault: it's too long. It's actually only two years since 2011's The Long Surrender, so how have they stockpiled so much material? It's not even as if you could trim much off the album, although, in fairness, you probably wouldn't miss some of the 'maudlin-country-by-numbers' stuff, however decent individual songs might be. Highlights include All Of It Was Music, All Over Ohio and Blue Jean Sky, but the sheer, daunting length of the album might put some listeners off. Patrick Warren turns up with an increasingly rare Chamberlin credit, although all I can hear is what sounds like distant flutes on Sacred Ground and strings on All Of It Was Music and Wait. So; Good Dog Bad Dog and The Trumpet Child are the best of the bunch here, although the former's rather too long; it certainly has the best 'Tron moment of any of these, although not exactly what you'd call essential. And avoid Besides unless you just can't get enough U2. Jessica Owen (Canada) see: Samples etc. Jusith Owen is a Welsh singer-songwriter now living in the States, whose most notable feature for yours truly is being married to Harry Shearer, Simpsons voiceover artist supreme and, of course, Spinal Tap's Derek Smalls (they've been known to perform together, Shearer in character). 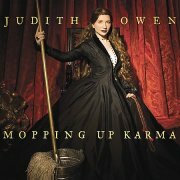 Mopping Up Karma was originally recorded a decade earlier, but never released, finally appearing in 2008, 'stripped of its major label clutter', although there still seems to be a good bit of it, at least to my ears. It's a fairly typical lovelorn singer-songwritery effort, although Ruby Red Lips and Shine feature both interesting lyrics and quirky melodic twists in the chorus, which is more than most of Owen's contemporaries can manage. Patrick Warren does his usual Chamberlin thing, with strings (and flutes?) on opener Creatures Of Habit and strings on I Promise You, Message From Heaven, Shine, Inside You and She's Alright, although the strings on Extraordinary are clearly real. I wouldn't actually swear that any of the 'Chamby' work actually is, while it's possible that some of the 'real' strings aren't, but you know, that's how it goes with Chamberlins. Anyway, better than many, but still not particularly exciting, with indeterminate tape-replay work. I've heard worse. 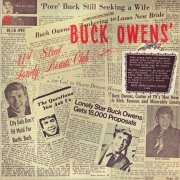 Alvis Edgar "Buck" Owens (Jr., 1929-2006) was your proper, old-school hokey country guy, whose subject matter, at least going by these two mid-'70s albums, centred around 'amusing' scenarios, good taste decidedly optional, while the music... Well, he played both kinds: country AND western. These ludicrously brief albums are shorter than many so-called 'EPs' of my acquaintance, which is, frankly, a blessing. 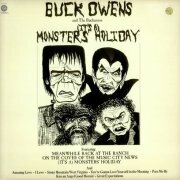 1974's It's a Monster's Holiday (credited to Owens and His Buckaroos) is pretty dreadful; the lyrics on Great Expectations are particularly cringeworthy. Jim Shaw plays Mellotron (actually sounds more like Chamberlin, to be honest), with background strings on Amazing Love, I Love, Kiss An Angel Good Mornin' and Great Expectations and cellos and strings on You're Gonna Love Yourself (In The Morning), in a fairly obvious 'we're on a tight budget, boys' kind of way. The following year's 41st Street Lonely Hearts Club is no better, Shaw's whatever-it-is tape-replay limited to a single track, sadly, with background strings on Weekend Daddy. No, I can not recommend these. FFS. Ginny Owens (US) see: Samples etc. Owl Watches (US) see: Samples etc. I don't know if anyone else has made this comparison, but Will Owsley's eponymous debut (recorded over a period of three years, for some reason) reminds me more of The Eels than anyone else; he even uses an abbreviation of his name, à la 'E'. The music's a similar form of bittersweet melody-laden American pop/rock, with much use of 'authentic' instrumentation (Hammond, Wurlitzer, Moog, Mellotron etc.). 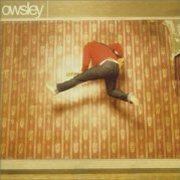 Owsley isn't a bad album, but too many of its songs stray too close to schmaltz (Good Old Days), although there's a couple of stormers in there, too (notably I'm Alright). Tape-replay on three tracks: Coming Up Roses has Owsley playing Mellotron flutes and what I presume are Chamberlin strings, although there's real cello in there, too and possibly real strings into the bargain. Sentimental Favorite has Chamby strings (along with real ones, again?) from part-time keys man Jonathan Hamby, while Class Clown has Owsley on volume-pedalled Mellotron strings, making it the album's tape-replay triumph. 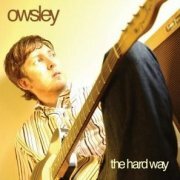 Four years on, Owsley released his second (and to date, most recent) solo album, The Hard Way. Is it just me, or is his powerpop schtick starting to wear a little thin? OK, most of the album's reasonably good, but there's a little too much lightweight filler for comfort, reminding me of the kind of mainstream fluff to which I already spend too much time listening. Decent 'hidden' version of Wings' Band On The Run, though... Two Chamberlin tracks this time round, with barely audible strings on Rise from John (Mark) Painter and nice cellos on Down from Jonathan Hamby, though not enough to rescue a rather insipid release. So; Owsley's not a bad album at what it does, although I remain unconvinced by The Hard Way, but there's an awful lot of artists out there doing this sort of thing, often better. Saying that, I would've thought Owsley would appeal to the Eels' audience, at least. Reasonable 'Tron/Chamby work, particularly on the former's Class Clown and the latter's Down, but probably not worth a purchase on those grounds alone. Never heard of Ozzie? (Apparently named in honour of Ozzie & Harriet, who mean little outside the States). 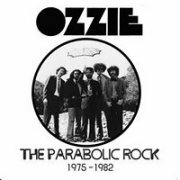 Don't worry, nor had anyone much else until the recent release of The Parabolic Rock: 1975-1982, a retrospective of their various recordings. They actually formed in Southern California in the early '70s, although they seem to be more aligned with the late '70s new wave explosion than anything earlier in the decade, releasing a mere three singles/EPs, all in that period. The album (currently only available on double vinyl) skips between proto-punk (their first single Android Love, I'm So Stupid), epic rock (Child Of The Reich, Air On Venus), 'noo wave' (Faunmania, the Devo-esque Baby I Cried), powerpop (Beach Girls, Scattered Values) and others; not the easiest set to categorise, as you can see. Maybe adaptability was the band's strength, but I can imagine it was also its weakness and one of the reasons they never broke out of their home market. Keyboardist William Fuller adds Mellotron to just one track, with block string chords on Air On Venus; hardly major use, but better than nothing. The rest of the album's keyboard works shifts between piano, Farfisa and some farty 'we've heard Devo' Moog on several tracks which, if slightly unoriginal, is still unusual enough to be worth commenting on. Overall, more one for students of the new wave era than anyone else, although there's probably a decent single album to be compiled from this set.